You'll be £10.00 closer to your next £10.00 credit when you purchase From Corunna to Waterloo. What's this? This is the story of two young Welsh cavalry officers who served for much of the Napoleonic Wars with the 15th (King's) Hussars. Major Edwin Griffith and his nephew, Captain Frederick Philips ('Rico' to his family), wrote home regularly, and they were not afraid to voice their true feelings about their situation or colleagues and superiors in their private correspondence. Their service at home varied from the policing of Luddite riots to escorting treasure convoys, customs patrols and arresting senior opposition figures for the government. They also served during much of the wars with Napoleon. From the memorable victory at Sahagun, to the dreadful retreat through the icy winds and snow of their own Dunkirk, at Corunna, where they safely boarded the awaiting fleet. They returned to Wellington's army in Portugal in 1813 and fully participated in his great advance through Spain and into France itself, seeing combat at the battles of Vittoria, Roncesvalles and Toulouse. The book is a thoroughly researched and engaging history of the 15th Hussars throughout the wars, crammed full of interesting asides regarding the life and loves of a cavalryman in the Napoleonic age. As you read this book, you will learn to care passionately for these gregarious young men, partake in their exertions, share their joy, but also feel their pain when one of them fails to come safely through the final great battle, Waterloo. 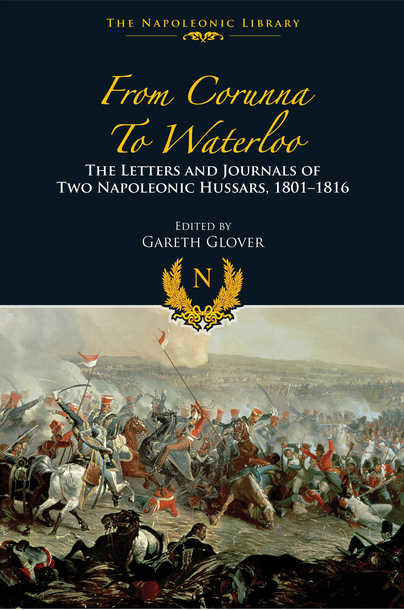 Gareth Glover is the editor of Letters from the Battle of Waterloo: Unpublished Correspondence by Allied Officers from the Siborne Papers.